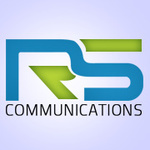 RSCommunications is among the top Video production houses with a experience of +20 years in graphic designing, video editing and animations 2d/3d. We will Redraw/Convert your logo to editable vector file within an hour. We will deliver jpeg, png(transparent), pdf, eps and ai files of your logo when job is done. Please make a clear brief if you need any changes or adjustment in image that you provide. So professional and AMAZING team. Delivering High Quality Video Projects including whiteboard/sketch animation videos and Voice Overs. We provide expert video production. We can edit and produce videos for your next...Read moreDelivering High Quality Video Projects including whiteboard/sketch animation videos and Voice Overs.